Do you just love coming to events but are curious how you can get more involved? Don’t be bored, join board!! At the end of each semester, Hillel holds elections for Board positions. 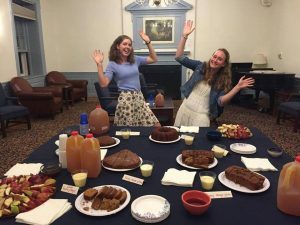 The Board meets weekly to plan events catered toward improving Jewish life on campus, and all Board members help each other with different initiatives. We welcome students from all class years to run for a Board position, and candidates for Co-President must be on Board for at least one semester prior. We are always open to adding new positions if necessary. Please feel free to reach out with any questions! Treasurer: Oversees and helps balance club budget. Meals Chair(s): Responsible for anything related to cooking or ordering food. This includes organizing, ordering ingredients, or cooking for shabbat dinners, holidays, and other food-related activities. 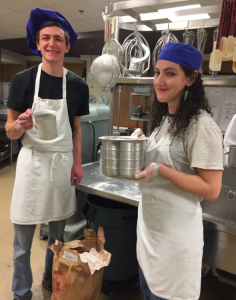 This often includes coordinating with the dining hall, helping manage the FIC kitchen, and recruiting members of the community to cook for a shabbat dinner. Board members rotate cleaning after shabbat dinners and setting up the kitchen during the week. Reach out if you would like to cook, and Hillel provides the ingredients! Lauren and Jenny’s amazing Rosh Hashanah honey cakes! 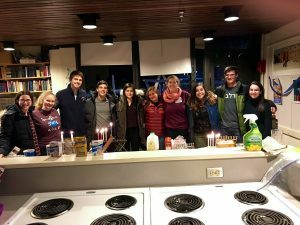 Secretary/FIC Manager: Takes minutes at Board meetings, updates the website, Student Activities Board and social media, writes thank-you cards to donors, and oversees cleaning and and maintenance of the FIC Jewish Center. Academic Chair: Organizes events including speakers, films, and schmoozes related to the academic aspects of Judaism. This position often works in conjunction with the Israel Chair, Interfaith, and others. Academic Chair also plans our fun semesterly Faculty/Staff Shabbats. Social Chair: In charge of bringing the fun!! Social chair plans parties…Bar Mitzvah, Purim, Hanukkah, Israel, and anything Jewish-related you can think of. 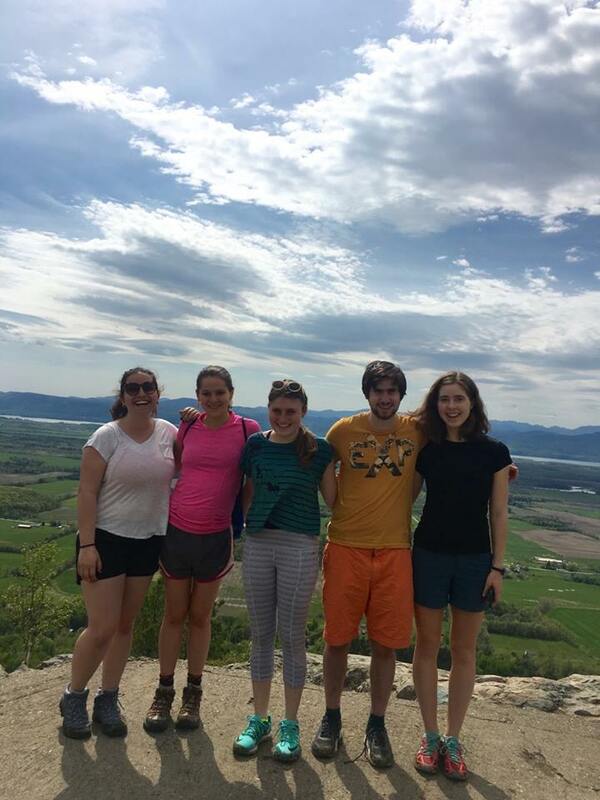 This position also plans outings to concerts such as Matisyahu, Ben and Jerry’s Factory, apple-picking, skiing, UVM challah-fundraiser socials, and laser tag. Rituals Chair: Works with Rabbi Danielle to plan services, activities, and events to observe and celebrate the holidays. 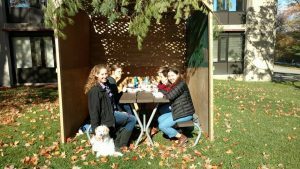 This includes our Atwater Passover Seder, hang-outs in the Sukkah, Hanukkah menorah lighting, and getting students to sign up for High Holiday honors and readings. Board members take turns leading reformed Kabbalat Shabbat services and reading the D’var. Happy 4th night of hanukkah! 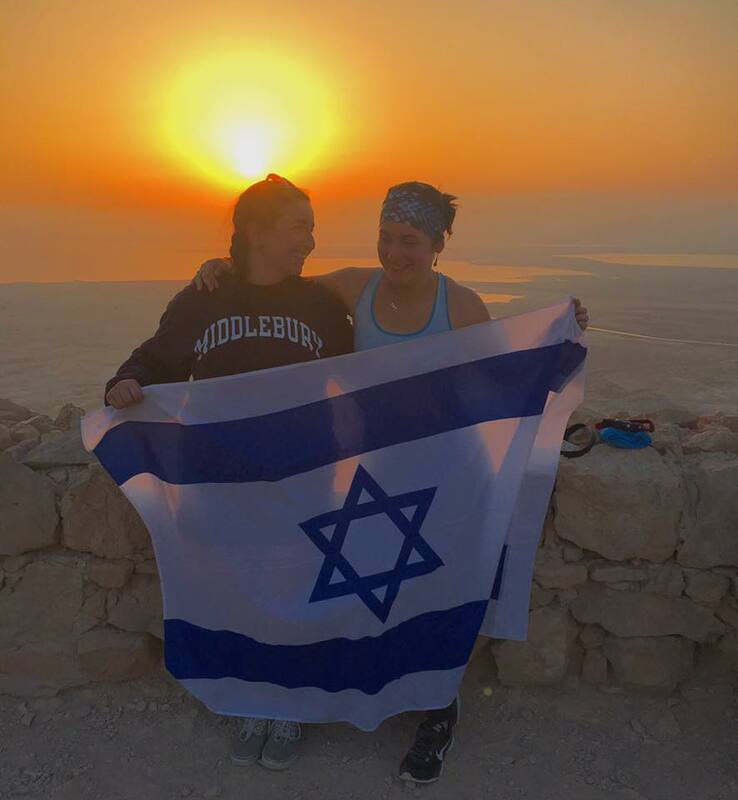 Interfaith Chair: Plans one of our favorite events—MSA/Hillel Shabbat!! 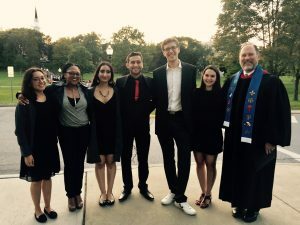 Also serves as the liaison to the Scott Center for Religious Life and Interfaith House, attending their weekly flatbread lunches, and creates opportunities for Hillel to bond with our friends in other Religious Orgs. This can also include looking for ways to work with other Cultural Orgs, for example, through the SGA’s “Taste of the World” events. Israel Chair: Works with other NESCACs and UVM to find a Birthright trip for Middlebury students to participate in. Also plans schmoozes and screenings and is our unofficial liaison to J-Street and our contact person for all Israel-related events and opportunities. Responsible for publicizing and updating Israel-related opportunities. Abby and Lisa on Birthright wohoo! 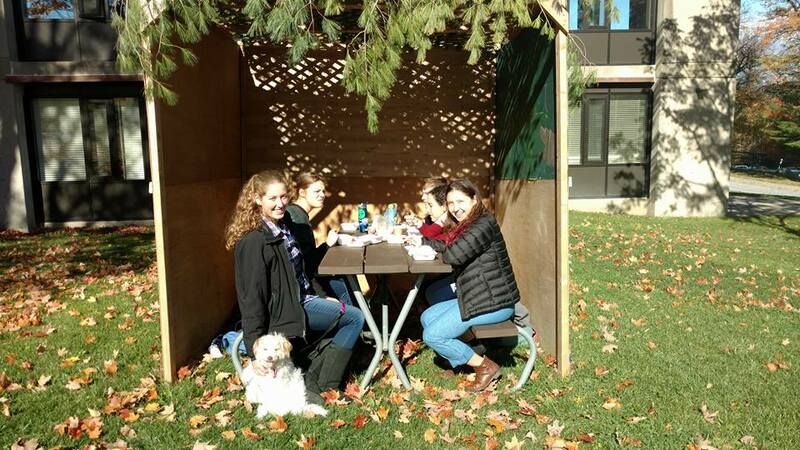 Tzedek Chair: Organizes Challah for Hunger fundraisers and informs Hillel of campus or local volunteer opportunities. Challah for Hunger in Atwater! Community Liaison: Works with Havurah in town to coordinate a student-buddy program and plan Chavurah-Hillel shabbat, second-night seders, visits to the Hebrew School, and other forms of collaboration. 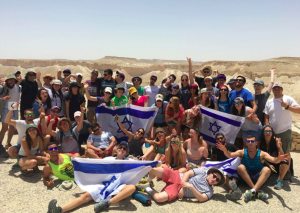 We love our Chavurah community!